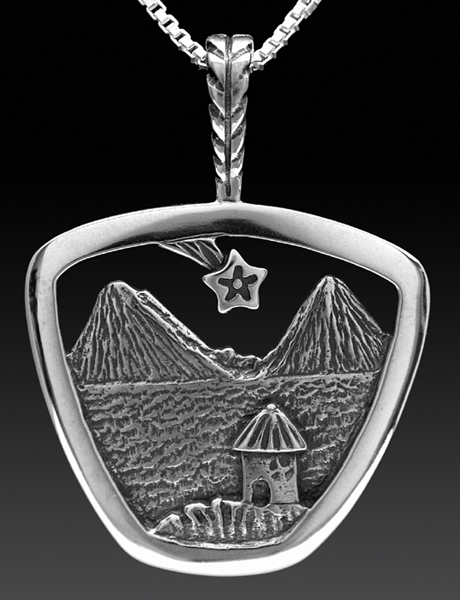 Sterling silver charms / pendant 1. Handmade designer silver pendants and charms with 18" silver box chain. They all have symbolic meanings. 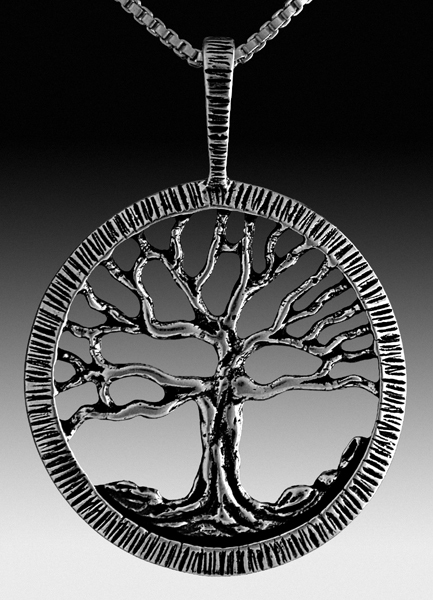 Description:This sterling silver tree pendant is handmade using the lost wax casting process.It is finely detailed and the rim and the bail are textured to give the appearance of bark. The 18'' sterling silver Box chain is included in the price. * The Tree Of Life is the symbol of growth, knowledge and spirituality, it is the map of personal energies and thoughts. Buddha was enlightened while meditating under a banyan tree. 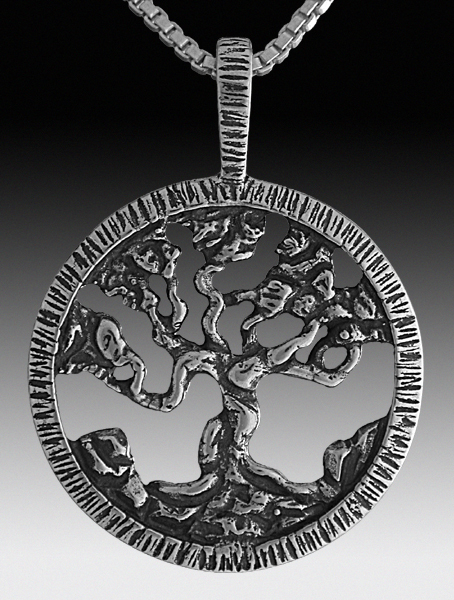 Description:This sterling silver tree pendant is handmade using the lost wax casting process. It is finely detailed and the rim and the bail are textured to give the appearance of bark. The 18'' sterling silver Box chain is included in the price. 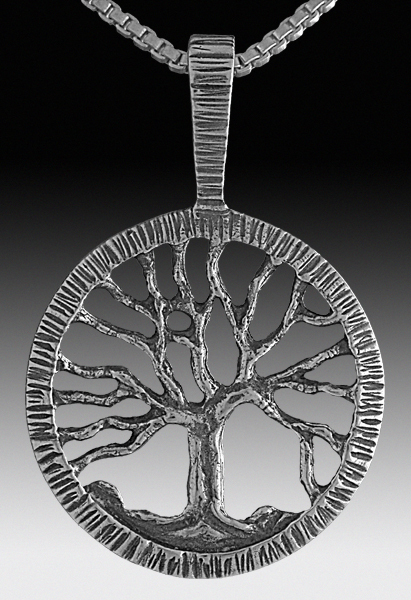 Description:This sterling silver bonsai tree pendant is handmade using the lost wax casting process. It is finely detailed and the rim and the bail are textured to give the appearance of bark. The 18'' sterling silver Box chain is included in the price. Description:This Moon & Star sterling silver pendant is handmade using the lost wax casting process and comes with an 18'' sterling silver box chain. 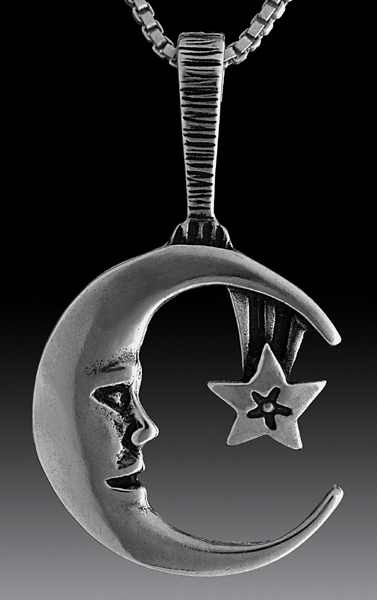 * The Moon & Star is the symbol of Heavenly guidance, intuition, friendship and good fortune. 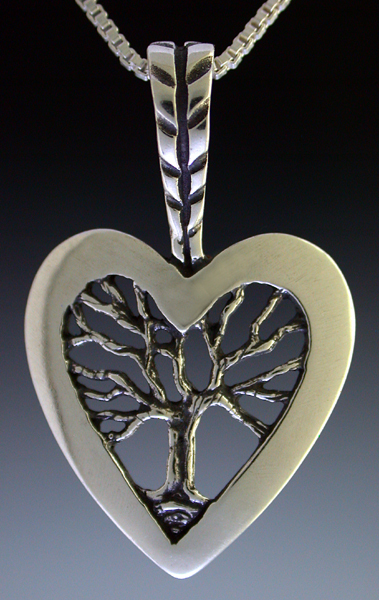 Description:This sterling silver Heart tree pendant is handmade using the lost wax Process. The 18'' sterling silver Box chain is included in the price. * The Tree Of Life is the symbol of growth, knowledge and spirituality, it is the map of personal energies and thoughts. 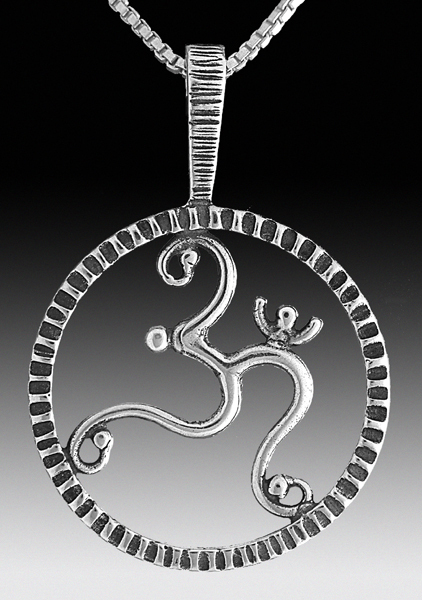 Description: This sterling silver Ohm pendant is handmade using the lost wax casting process. It is stylized to give it the feel of Sanskrit writing. The rim and the bail are textured contrasting with the polished inner form. The 18'' silver Box chain is included in the price. * Ohm is the sacred word meaning God. It is the divined vibration of the universe and the path that leads to nirvana. 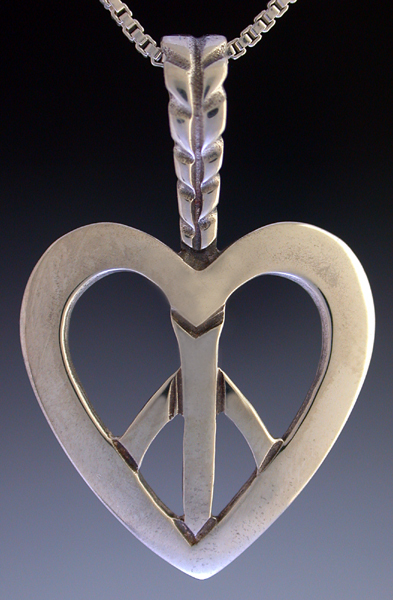 Description: This sterling silver Heart & Peace pendant is handmade using the lost wax Process The 18'' sterling silver Box chain is included in the price. 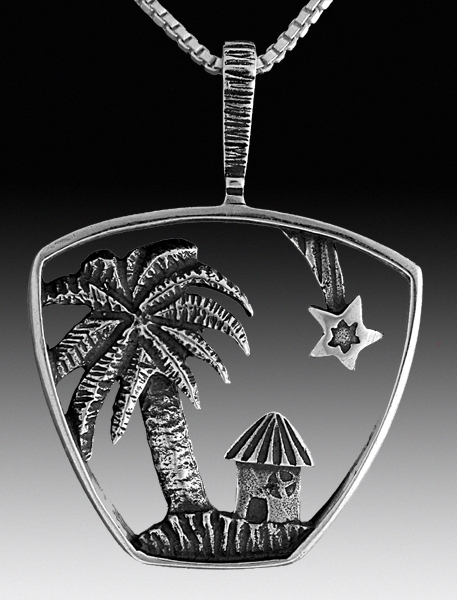 Description:This finely detailed sterling silver Paradise Islands pendant is handmade using the lost wax casting process it is finely detailed and comes with an 18'' sterling silver Box chain. * It makes the perfect gift to anyone dreaming of romantic getaway to an exotic island. 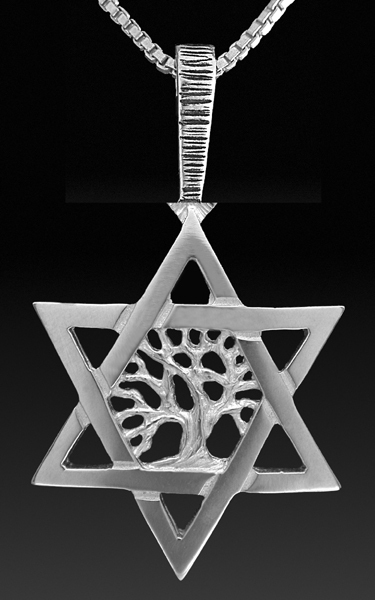 Description:This finely detailed sterling silver Star of David pendant with a tree of life carved in the center is handmade using the lost wax casting process it is finely detailed, it has a textured bail, is highly polished and comes with an 18" chain. Description:This finely detailed sterling silver Lake Atitlan pendant is handmade using the lost wax casting process and comes with an 18'' sterling silver Box chain. * Lake Atitlan is a beautiful and magical lake in the highland of Guatemala. 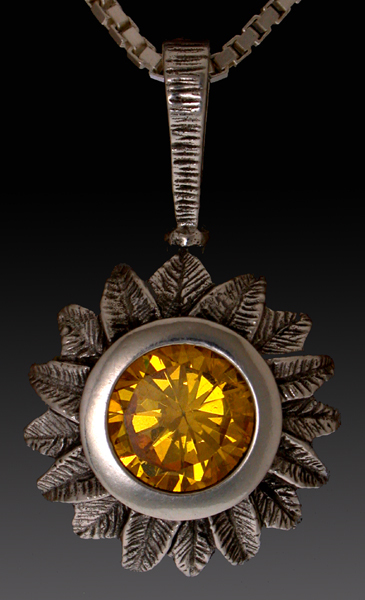 The writer Aldous Huxley described it as " The most beautiful lake in the world "
Description:This finely detailed sterling silver Sun Flower pendant is handmade using the lost wax casting process. It is finely detailed and has an antic finished look. It is set wih a yellow CZ and comes with an 18'' sterling silver Box chain. * Cheerful, warm and beautiful, the Sun Flower is also the symbol for green ideologies and for a nuclear free world.